Home/News/Spring Your Lounge Into Life! Spring Your Lounge Into Life! Spring isn’t just the right time for spring cleaning, it’s a good time to take a look at your décor. If your lounge is looking tired and drab, here are some easy ways to update it for spring without breaking the bank. This year’s must have colour is navy, and it looks absolutely stunning with oak flooring. You don’t have to use it on your walls, just try a navy throw or invest in an armchair upholstered in this chicest of colours. If navy is too strong for you, pure cobalt blue accessories like cushions and vases are a quick way to add some spring zing to your lounge. 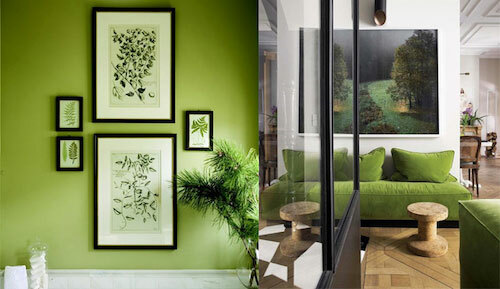 Pantone announced their Colour of the Year 2017 as Greenery, which replicates the new shoots of green plants. You can get the look with a feature wall papered in an oversized botanical print, plus some jungle themed or tropical accessories. Keep the look very relaxed with hot tropical print cushions and curtains. Add lush rambling vines to complete the look. 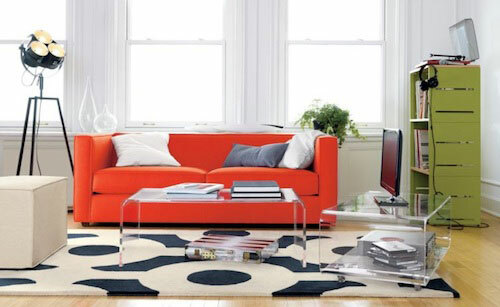 If you only have a small lounge and you want to make the most of the space then you’ll love the acrylic trend. 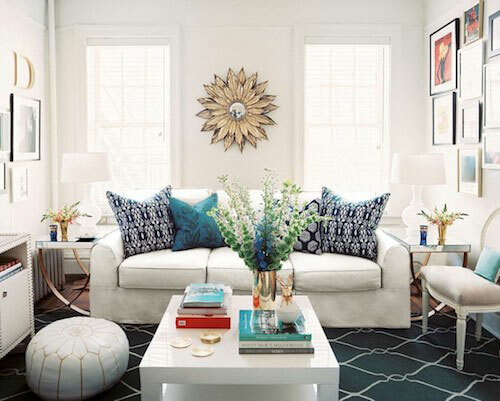 Whether you add a perfectly clear coffee table, or some chic clear photo frames, acrylic complements any décor. A stunning way to update the decor in your lounge is to complement your oak flooring. Whether you have solid or engineered wood, a wood floor adds style and practicality to your living space and works as a neutral to balance any design scheme. Whites, beiges, blush pinks, camels and grey are all absolutely on trend with wood flooring. Incorporate these colours by re-painting your walls or replace your current accessories and furniture. 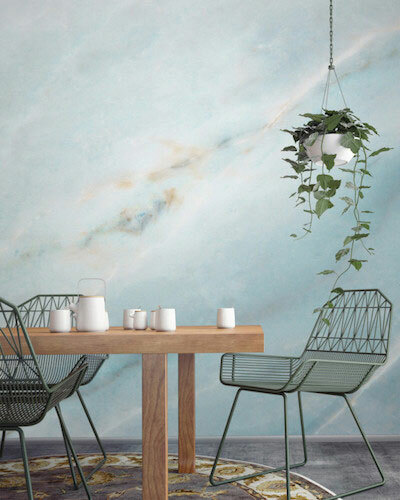 Marble has been on trend for the bathroom for a few years now, but it’s about to make a big impact all over your home thanks to marble wallpaper. Used for a statement feature wall or all over your lounge, it’s the ultimate luxe on a budget look. For a quick and easy spring update, introduce texture into your lounge. 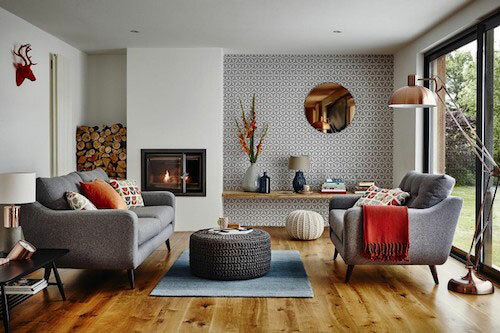 A wool throw on a leather chair, a brushed brass or copper light fitting, or a range of textured cushions will look effortlessly on- trend paired with your wood flooring.